Don’t get too excited yet, and it is not really a serious reason to use Air New Zealand when travelling from Europe to that country or Los Angeles (ANZ has traffic rights for its daily LHR – LAX. 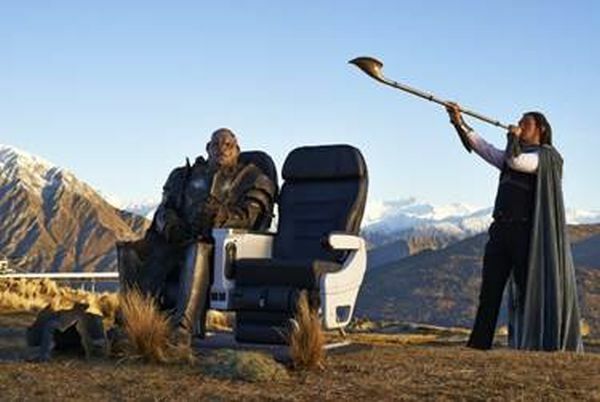 The Premium Economy is outstanding) but the airline's next in-flight safety video will conclude the highly successful three-year association with The Hobbit Trilogy. The yet to be titled safety video was shooting this week amidst dramatic Central Otago scenery in New Zealand.